Just like his fictional character, actor Milo Ventimiglia is here to dispense wisdom in a clever promo. It's been a week and a half since we learned that a rogue, faulty generic slow cooker was the culprit behind Jack Pearson's death on "This Is Us." Since then, some fans reacted strongly, mistakenly thinking that it was a Crock-Pot and that their slow cooker is unsafe. Crock-Pot's maker Newell Brands issued a statement that the product is in fact very safe and loyal slow cooker users insist on social media that they stand by their kitchen item of choice. 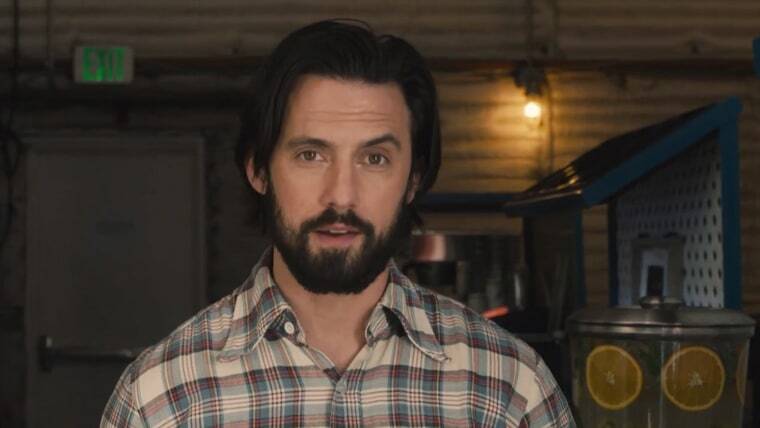 But just like his fictional character, actor Milo Ventimiglia is here to dispense wisdom in a clever promo. "In 2018, gathering with friends and family isn't as easy as it used to be," Ventimiglia, 40, muses to the camera. "The country's divided, and sometimes, that can make it tough to find common ground." "But this year, I think we should all take a deep breath, find the ability to forgive, and remind ourselves there is no difference so great that we can't overcome it," he continues, while serving himself a bowl of chili from ... a slow cooker. The commercial invites viewers to respond via Twitter using the hashtag #CrockPotIsInnocent. As “This Is Us” watchers remember from the most recent episode of the show, a faulty switch on a generic slow cooker sparked a fire in the Pearson home that many believe will lead to Jack’s death. But remember: It’s a fictional TV show. Tune in after the Super Bowl to see how the Pearson family battles the blaze. We have a feeling we'll be doing a lot of crying into our own chili.